Renato Soldenhoff is conceptual designer, project developer and Head of E-Learning at Zurich University of the Arts. 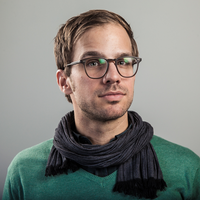 He studied Leadership in Digital Communication at UdK Berlin and Process Design at Hyperwerk FHNW in Basel. Next to his work at ZHdK he runs the conceptual design agency Curious About.